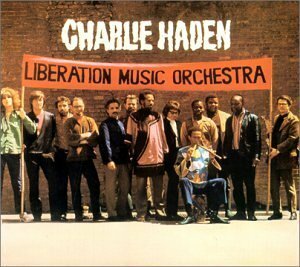 One of the most memorable and original renditions of the Spanish Civil War songs that Pete Seeger made famous were recorded in the late 1960s by the Liberation Orchestra, under the brilliant direction of bassist and activist Charlie Haden. Haden passed away this week. Amy Goodman’s Democracy Now has reposted a 2006 interview about his music and politics. Listen to Haden’s version of El Quinto Regimiento, Los Cuatro Generales, Viva la Quince Brigada here. Listed to his DN interview here.